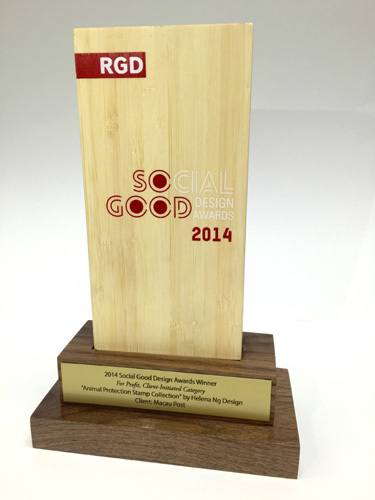 The Macao Post’s 2014 stamp issue “Animal Protection” is selected as a winner in the “Social Good International Design Awards 2014 - For Profit, Client Initiated Category”. Every year, the Association of Registered Graphic Designers (RGD) of Canada invites global submissions of graphic design projects under the theme of communication design for social good; work with the power to incite action and make meaningful change in the way we live our lives. 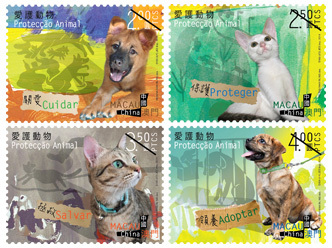 The stamp issue “Animal Protection” was issued on 28 April 2014. 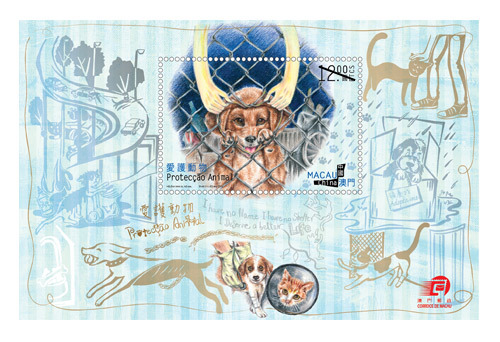 Helena Ng, the designer of this stamp issue, promotes the animal protection through the stamp design for expressing “Care, Protect, Save & Adopt” for animal. Macao Post is deeply inspired from this award and expects to promote the positive message with Macao stamps around the world.